Home > Uncategorized	> Excerpt of my book in the Guardian! Excerpt of my book in the Guardian! This is the result of my amazing Random House UK publicity team, who have been busy promoting my book in the UK. That same team is bringing me to London at the end of September for a book tour, and as part of that I’m excited to announce I’ll be at the How To: Academy on September 27th, talking about my book, which was Tickets are available here. 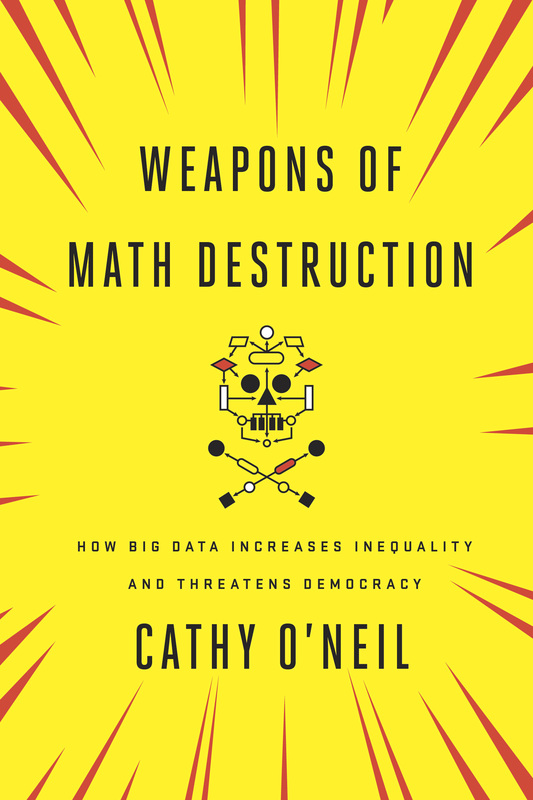 Also, if you haven’t gotten enough of Weapons of Math Destruction this morning, take a look at Evelyn Lamb’s review in Scientific American. Keep it going…I’ve tweeted about the book a few times and it’s getting worse out there too. I focus on healthcare and these WMDs are being used in pharmacy benefit management like you can’t believe. The math is flawed and pharmacists are being forced (to keep their jobs) to promote statins to those who are diabetic with now having to send letters to patients, and again this is based on flawed so called adherence predictions on taking meds. It’s the wrong way to promote drug sales and always make the patient look like the loser, whether they are or not. If two people genuinely are the same on two less-attractive personality traits then the results will show their relative frequencies of choice to be equal, and those traits will have also competed against other traits elsewhere in the survey (and probably appear “low down” on the latent scale). So there’s nothing intrinsically “wrong” with a personality survey using these methods (see work by Lee Soutar and Louviere who operationalised it for Schwartz’z values survey) – indeed there is lots to commend it over the frankly awful psychometric paradigm of old. I think it goes on sale Tuesday. Very cool! 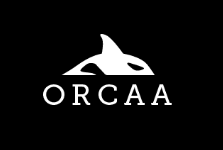 For the record I recently notified a national trucking organization (Owner Operator Independent Drivers Association, or OOIDA) of your book’s upcoming launch. The reason is they are currently fighting a major legal battle against the federal government over what I call “algorithms run amok” imposed on truck drivers. Actually it’s over a recent federal mandate that electronic logging devices be installed in all trucks, but I consider the underlying root of this dispute to be the “algorithms” (hours-of-service regulations) that these devices are programmed to adhere to. The machine’s design was very simple: one on side a narrow conveyor would lift what must have been at least five thousand large brown marbles (they looked exactly like Malted Milk Balls) up into a region at the top that resembles the graphic. Once all the marbles were in place, a very loud alarm bell would ring and the gate would open, letting all of them drop down into a huge lattice that randomized their descent into a row of many tall, narrow troughs at the bottom. A giant normal curve was painted on the glass in front of the troughs. Without fail, after all the marbles finally dropped down—must have taken at least ten minutes—their distribution always closely matched the normal curve. The exhibit was a really clever way to put the central limit theorem on display for public consumption. Wish there were some photos available but I didn’t find any. Hey that was/ is also in the Boston Science Museum! Loved that as a kid. Great to see it in print and all the fine coverage! That Guardian excerpt was outstanding. Just ordered the book! Why o why! What pleasure do publishers get by not making these books available worldwide even when they are available on the kindle?? How can I read your book? Help? It’s not out till next Tuesday. Are you saying it will be available worldwide starting Tuesday? I already see it listed on Amazon.com but not in Amazon.in. How cool! I read the Guardian all the time and had just bookmarked that page! We met in Harvard Square during Occupy Boston. That’s when I got on your mailing list. Thanks! Linda, cool! I remember meeting you! Citi Bike comes to Columbia In Time Magazine!